Sure, the game supports SoundBlaster. But the driver is faulty, and will only play music (using the SoundBlaster’s OPL chip). Luckily, intrepid fans have created a working SoundBlaster driver for the game. 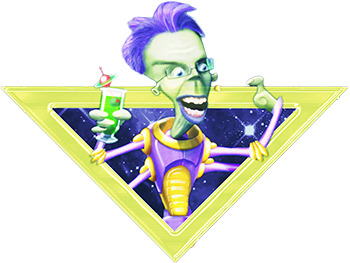 The patch used to reside on the old SpaceQuest.net website, which has since undergone some restructuring. I did, however, manage to rescue the driver from it, and use it for my YouTube playthrough. You will need to be at least somewhat proficient in DOS to use it, as it was made for people who purchased the old Space Quest Collection anthologies on CD-ROM. If you’ve purchased it from the aforementioned digital outlets (GOG or Steam), be prepared to get down and dirty with DOSBox. The patch includes fixes for two types of SoundBlaster cards, depending on what IRQ they used. If you are using DOSBox to apply the patch (which I was), just go for the one that says “IRQ 5/7” (which were the most common IRQ values for SoundBlaster cards, and therefore the ones that DOSBox emulates). Now, as I also explain in the video, Space Quest III is from an era where it was unfathomable that someone would have two sound cards installed in their computer. Therefore, Space Quest III only natively supports one sound card at a time. That’s a slight problem because if you have an MT-32 emulator, you would definitely want to play this game with MT-32 music! It sounds fantastic! But if you enable MT-32 audio, then you won’t get to hear the digitized sound effects. Can’t select more than one sound card at a time! UPDATE: It turns out that a dedicated Sierra patcher known as NewRisingSun (whom you’ll be hearing a lot more about when I get around to playing Space Quest IV) also made a patch for Space Quest III that lets you select both MT-32 music and SoundBlaster sound effects! I have archived the patch myself (in case Vogons.org ever goes off-line or something). You can download the MTBLAST patch here. Thank you, Petey Gee, for bringing that to my attention. Then again, you could just play the game using ScummVM. Yes, ScummVM supports Space Quest III — and lets you select both MT-32 audio and digital sound effects at the same time! This eliminates the use for the above patch … but it’s also arguably less rewarding to get working. Regardless, I am going to do that for the remaining episodes of my Space Quest III playthrough because, hot damn, that MT-32 soundtrack. So good. And before you ask, no, I am not supplying you the ROMs for the MT-32 emulation. You’ll have to go find those on your own.